From Provincial Court to Olympic Sport Court – again! BC Provincial Court Judicial Justice Carol Roberts was honoured for a second time with appointment to the ad hoc division of the international Court of Arbitration for Sport (CAS) – the body responsible for hearing any legal disputes that arose during, or in the ten days before, this winter’s Olympic Games. In this eNews, she reports on some of the cases heard by the CAS during her time in South Korea, and mentions some of the athletic, cultural and even technological highlights of the PyeongChang 2018 Winter Games! The CAS established two divisions to decide legal disputes relating to these Games. Judicial Justice Roberts was one of nine arbitrators from around the world and the only North American appointed to the ad hoc division (the AHD). From January 30 until February 25, 2018, the AHD sat in panels of three to consider five cases - all involving unresolved complaints about athlete selection. After the International Olympic Committee (IOC) suspended the Russian Olympic Committee for doping violations and established a procedure to permit individual Russians to compete, the Russian Olympic Committee submitted 500 athletes for consideration. An Independent Review Panel decided that 389 of those athletes might be eligible to participate, and on January 19, 2018, the IOC invited 169 of them to participate. The other cases decided by the AHD involved unsuccessful applications by a Virgin Islands bobsledder OG18/01 and a Lebanese skier OG18/06 to overturn decisions denying them the chance to compete in the Games . For the second time in the Games’ history, CAS established an anti-doping division (ADD) to deal with doping disputes during or in the ten-day period immediately before the Games, in accordance with the IOC Anti-Doping rules. Consisting of six arbitrators including Canadian Janie Soubliere, the ADD dealt with four cases at the 2018 Olympics. They arose from testing both in and out of competition. Note: The World Anti-Doping Code prohibits athletes from taking a number of substances identified on the prohibited list. Since it’s possible for a substance to enter an athlete’s body inadvertently, the Code categorizes substances as “specified” or “non-specified”. A tribunal can impose a reduced sanction for a “specified substance”. 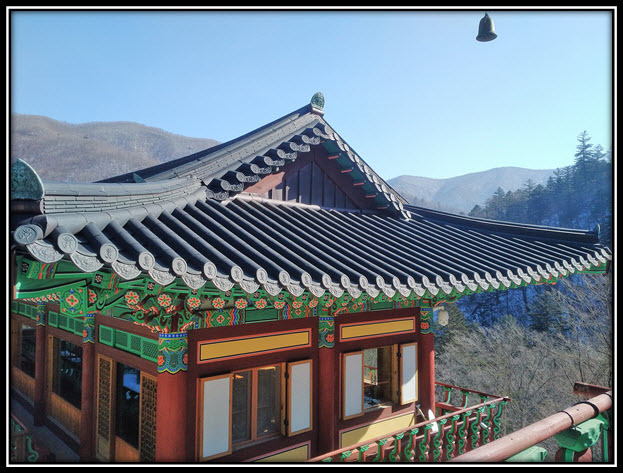 When not hearing cases and writing reasons for decisions in one of two temporary offices operated by CAS at the Yongpyong Alpine Centre, Judicial Justice Roberts was able to watch some of the Olympic events and visit cultural sites. She says, “The spirit of Olympism was on display at the XXIII Winter Olympics - starting with the somewhat controversial decision to unite the North and South Korean Women’s hockey team. While the team play likely suffered somewhat due to the lack of practice, education and mutual respect, if not a medal, seemed to follow. I also visited some of Korea’s approximately 900 traditional Buddhist temples, including two of the most famous - Gyeonbokgung Palace, one of the most iconic structures of the Joseon Dynasty, and Changgyeonggung Palace, the home of queens and concubines of the Joseon Dynasty. The architecture of the temples and the symbolism of the structures, including the pagodas, was truly enlightening. Tech geeks weren’t forgotten at the Winter Games. Visa introduced payment-enabled gloves with an embedded chip, so payment could be made without getting your hands cold! To see the final awards in these CAS cases, check their website from time to time. Read about the athletic and legal background that made JJ Roberts so qualified for the international sports court and her experience at the Summer Olympics.